A tribute to the singing cowboys. 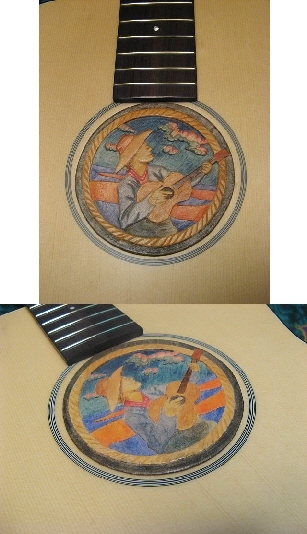 This soundhole cover brings back the days of cowboys, horses and guitars. Prices available upon request. This soundhole insert was carved for a J. Warwick Guitars custom Baritone guitar. The client has had many Newfoundland dogs over the years and wanted to pay tribute to them with this guitar. 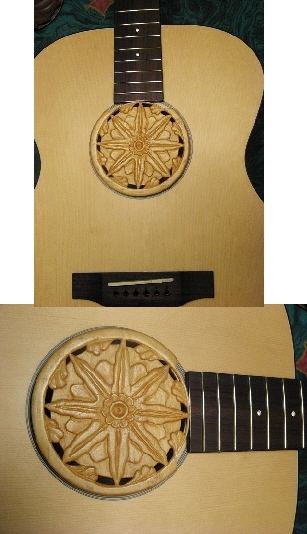 The insert was carved out of solid Maple and is held in the guitar with recessed magnets. This is one of the pieces that, upon completion, I did not want to give up. Carved from solid Maple. 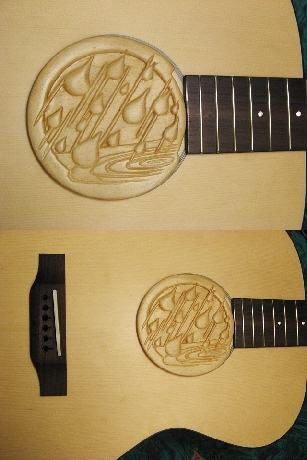 This soundhole cover makes you want to stay inside on a rainy day and play guitar. Prices available upon request. Carved out of Maple. This was a random design that I knew would look good in a soundhole. Prices available upon request. I love carving hardwoods like Walnut and Maple. I also like the image of falling leaves. 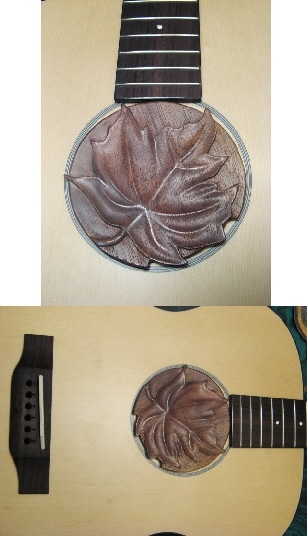 Put these two together and you get this soundhole cover. Prices available upon request.